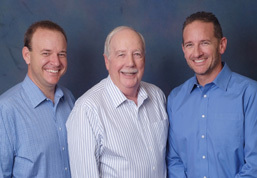 Team Bourda is a small, family owned and operated, full-service Realtor team located in San Diego. We are here to serve your buying, selling, and property management needs. Whether you are a first time buyer or investor or a seller looking to move-up or downsize Team Bourda is here to help. We have been in business since 1997 and have closed over 500 transactions. Our success has primarily come from satisfied client referrals. Check our testimonials page and our online reviews to see a sampling of our past clients satisfaction. We have built this website for you to use as a resource for San Diego county real estate information. You will love searching for your next home on our website! Buying a home is an exciting time. No doubt, it can also be a complicated and emotional process. The rewards of owning your own home are huge!